This topic shows how to use PORTB change interrupt, this interrupt occurs when an input port changes its state. 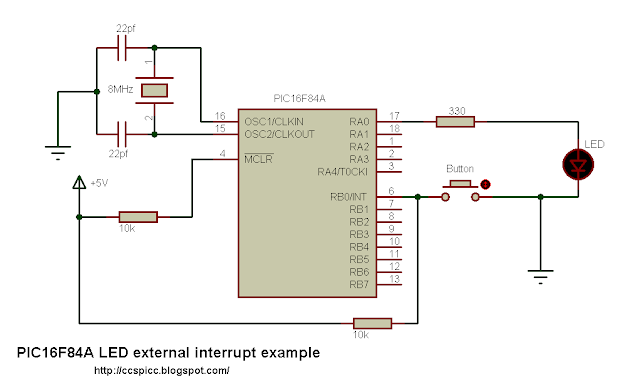 The pins responsible for this interrupt are RB4, RB5, RB6 and RB7. As shown in the circuit schematic above there is an LED and 4 pushbuttons. The interrupt occurred when a pushbutton is pressed or depressed. When the interrupt occurred the LED toggles its state. The video below describes the circuit and the code. The microcontroller PIC16F84A has a unique external interrupt at RB0 pin (hardware interrupt). 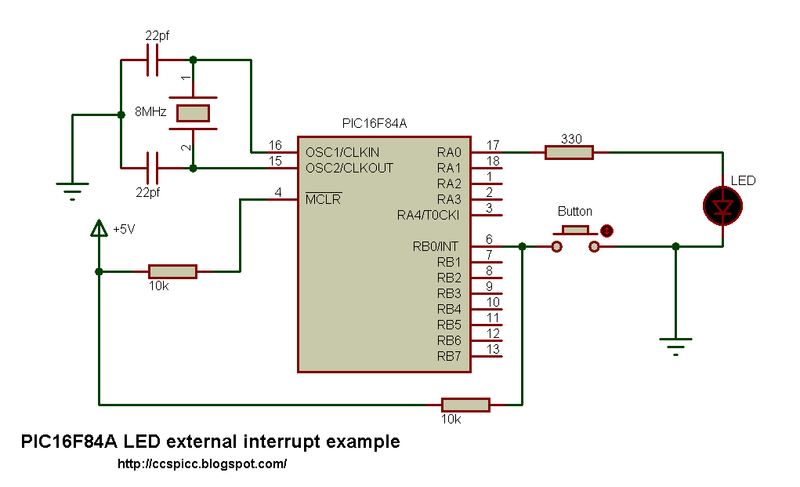 When an interrupt occurred, the microcontroller immediately executes the code attached with the interrupt, after finishing the interrupt code the microcontroller returns to the main code. 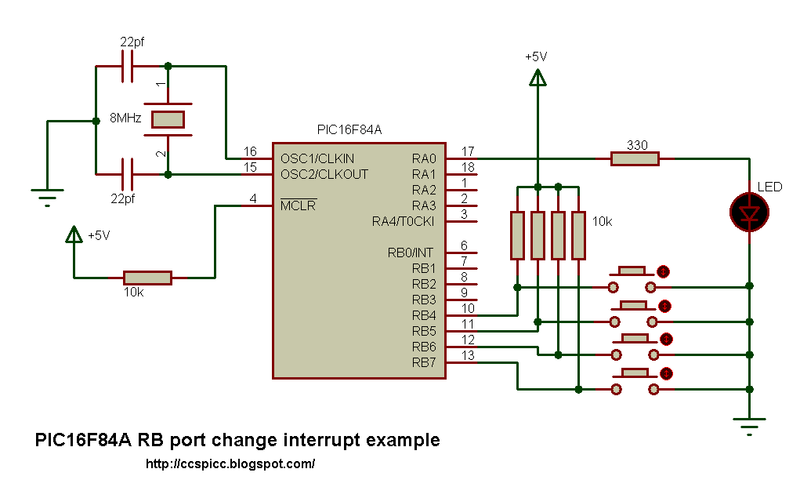 This topic is a small example shows how to use PIC16F84A external interrupt. In the circuit schematic above we have just a button and an LED , the button is connected to the external interrupt RB0/INT pin and the LED is connected to RA0 pin. When the button pressed, an interrupt occurred and the LED will toggle its state. The following video has some details about the circuit and the CCS C code. This topic shows how to turn on and off 2 LEDs connected to PIC16F84A using 2 push buttons. The circuit is simple there 2 LEDs and 2 buttons each button toggles one LED for example when the first push button which is connected to RB0 is pressed, the first LED which is connected to RA0 turns ON, and when the same button pressed again the same LED turns OFF, and the same thing for the second button and the second LED. 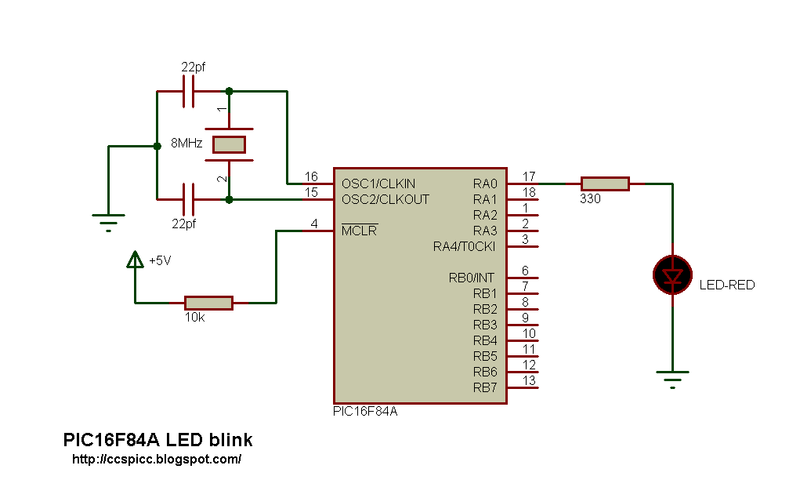 This topic shows how to make an LED blinking using PIC16F84A and PIC C compiler. It is easy to make an LED blinking, a few program lines is required and the microcontroller PIC16F84A is a simple chip also. Circuit schematic for the LED flasher is shown below. 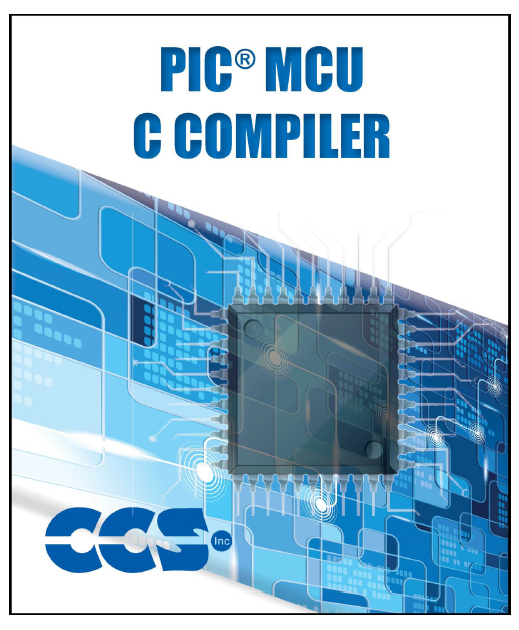 Code is written with CCS compiler. The following video shows the simulation using Proteus.